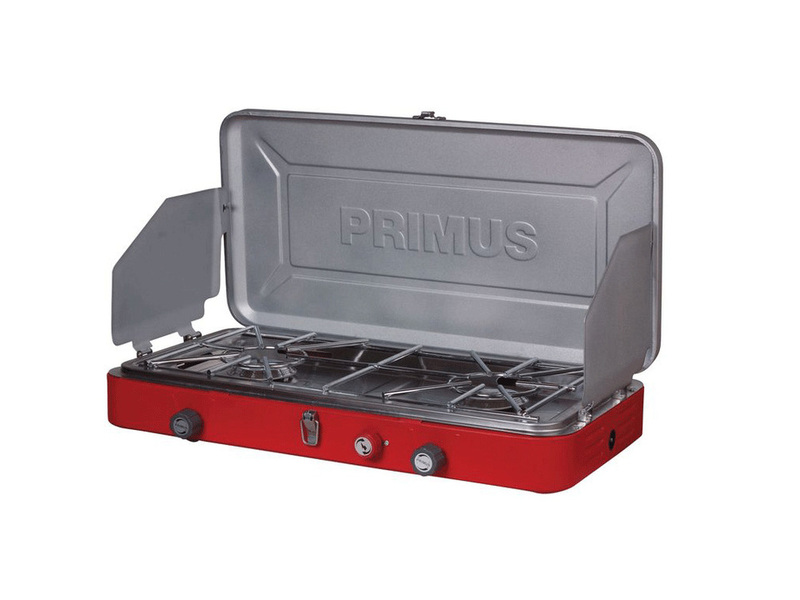 The Primus Double Burner stove is kind of like any other double burner stove that is made with quality in mind. This stove runs on propane, and will screw directly on to the little green 1lb propane canisters (they can be purchased from us). There are windscreens on either side of the stove, and there is lots of flame control.